Carry Pen & Paper always with you. A daily list of tasks that need to be done is an essential part of action planning. Update your List daily. Cancel those Part which are done. For Exams you can make a List of Chapter’s which need to be done that day. You have record of what you have prepared, so you will be updates always. It is most important list of Tasks or Topics. You need to Sort these in term of Priority. First You have make list of Weak Subject or Topics. Give More time to these Subjects/ Topics. Thus You can give time to most Important Tasks First. This avoids the natural tendency to concentrate on the simple, easy tasks and to allow too many interruptions to your work. Setting Your Personal Goals is key to Manage Time in Proper way. Setting Your own Target will give you destination & vision to work. Goals also help you decide what’s worth spending your time on, and what’s just a distraction. Try to complete your goals will full potential. Be resolute. Be committed to your Plan. If You decided to complete certain exercises or theory, then you have to be stubborn. Don’t take rest before accomplishment of work. Be professional about it, and follow through. Identify areas of your life where you are wasting time and try to reduce these. Also left time for you loving ones. Work to schedule so that you meet deadlines – don’t leave everything until the last minute. you need to be happy living out the details of your daily life, even while you’re working. Most people need 7-8 hours of sleep for their bodies and minds to function optimally. Listen to your body, and don’t underestimate the value of sleep. You can also Divide Your Sleeping Hours for better results. 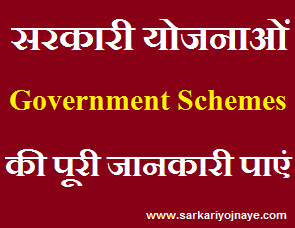 Govt Job Aspirants can ask about any query related to Exam. You can leave a Message as your Query. You can also send us Email related to your Query. One of the important reasons for mot performing well in UPSC examination is time management. This post helps me to know the time management strategies and guide me to complete the examination quickly.